Options in India: Changing role for Recruiters? 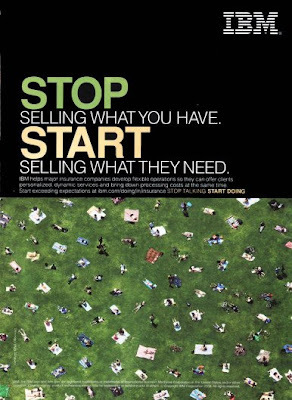 The above ad of IBM is perhaps most relevant for us now in the recruiter fraternity!! Amidst all the gloom and doom, that pervades the entire world without any partiality, the layoffs and job cuts as part of cost cutting, the sentiment is bordering on 'how to avoid firing'!! One can very well imagine the state of a professional fraternity that revels on 'how to hire'!! It would be an understatement if I mentioned the hiring numbers are down. In fact this post has been inspired by a repeated query that I often get to hear from well wishers occasionally "How are you managing business"? Well -trying to adapt & change -like an earlier post I had done! 1. The benchmark or the quality of hires has gone up significantly. Meaning that while the quantity has dwindled, there is a lot of demand for quality professionals-guys who can multi task, and who can operate in an uncertain environment, and stretch. Recruiters who can add value have enough on their order books. 2. Compared to earlier, when companies dealt with a large number of contingency recruiters-who get paid on the basis of a success fee -they are now willing to partner with a chosen firm with a fixed retainer fees and a lesser success fee. They are realising that commitment is 'two way' and so are banking on relationships to ensure a higher strike rate & culture fit. - completed a set of interviews for a Sales Head for a Canadian company who was referred by an American search firm -who in turn was referred to me by a NPA partner of ours. -spent an hour on Wednesday, as every week, personally meeting a bunch of ERA members in Hyderabad, sharing notes about HOT candidates and openings! -met a CIO of a large American firm who is exploring setting up a shared services centre in Hyderabad after a referral from a Big Four accounting firm encouraged my Bangalore associate enrolled me to flank them. - working on mandates of an associate who works in the niche of FMCG industry-which incidentally is a recession proof domain!! 4. It helps preparing to be a generalist in India-who has a strong network of specialist firms! India is still an emerging economy and different industries are growing are different velocities. It is amazing to study that while the steel industry is a forerunner-of a boom or a bust, there are a lot of industries that lag-and so the effect takes much longer to emerge. 5. Working doubly harder even if it means getting only half as much as earlier. We are investing in systems more than before. The automated resume tracking software is being renewed. Updating older profiles. Advertising across the net-beyond job portals -to improve our catchment areas of 'passive job seekers'. Investing more in web 2.0 tools like linked in, twitter and other new emerging tools. Spending more time understanding the 'calling ' of every job aspirant! Evangelising the need for looking long term -despite seemingly juicy offers that could be short term! My team would vouch that I keep parroting "harder we work, luckier we get"!! I know a lot of people think I am an incorrigible optimist. But then isn't it true that “Luck is what happens when preparation meets opportunity” ?? PS I just read a news item this morning:Chicago Mercantile eyes India entry! Surely they would need people to man the business. Can we hear bells ringing? Anyone in my NPA network who is working with the company in USA?? Quite valid. The ERA Leadership Summit in Mumbai brought about similar thoughts.